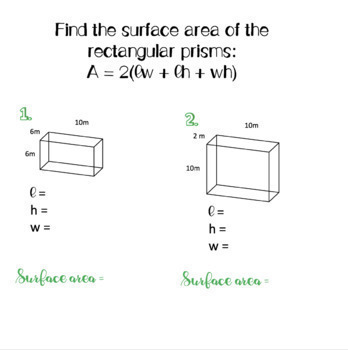 Interactive, paperless way to get students practicing finding the surface area of rectangular prisms. Students will make a copy of the Google Slides activity from Google Classroom & type in the answers in the text box provided next to the problem. 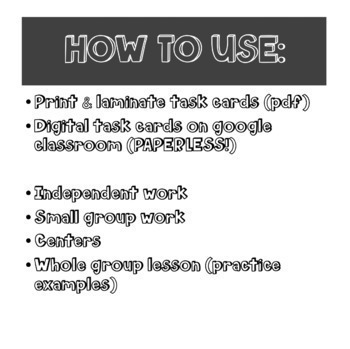 You may also print the pdf and laminate for future use. 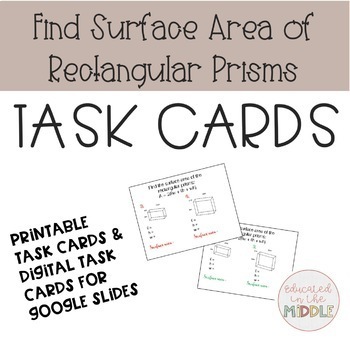 This product could be used in multiple ways: whole group instruction, partner work, small group work, independent assessment, or homework assignment. Note: Students must have google account and internet to access the digital version of this product.